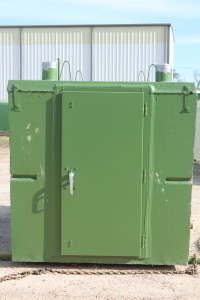 We offer 4 different sizes in our above ground units. These units are the perfect fit for a family who does not have a hillside or is looking for something to put closer to the home. All above grounds are handicap accessible. 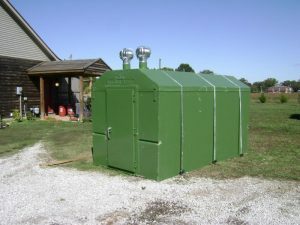 These shelters just simply require to be on level ground. All of our shelters are precast in Jackson, TN.We have our own ready mix cement plant to ensure the quality of cement that goes into our shelters. 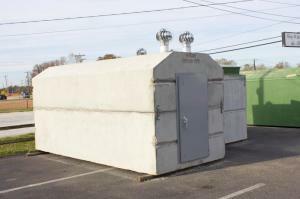 All shelters are poured with 6000 psi concrete & reinforced with wire mesh & rebar on 12'" centers. 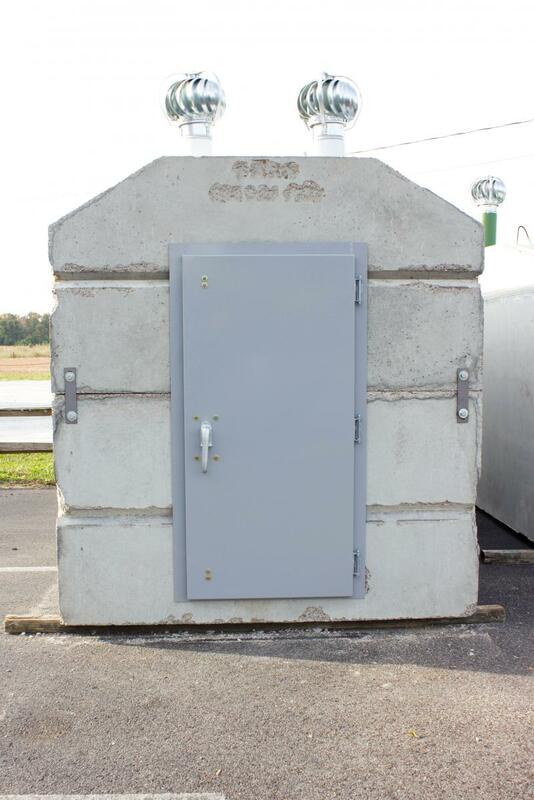 All of our storm shelters include a 10-gauge steel door with a 3 point latching system, two six inch air vents with turbines, indoor/outdoor carpet,plumbed for electric and are coated with a white laytex drylok. Our shelters have withstood the forces of an EF-4 tornado & meet and exceed all FEMA standards. The shelters are delivered and installed in one day and are ready for use when we leave! 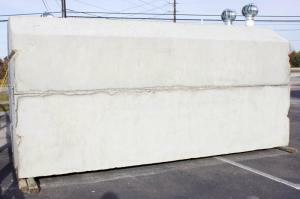 Standard Above Ground - Installation is optional feature and is not included in price. 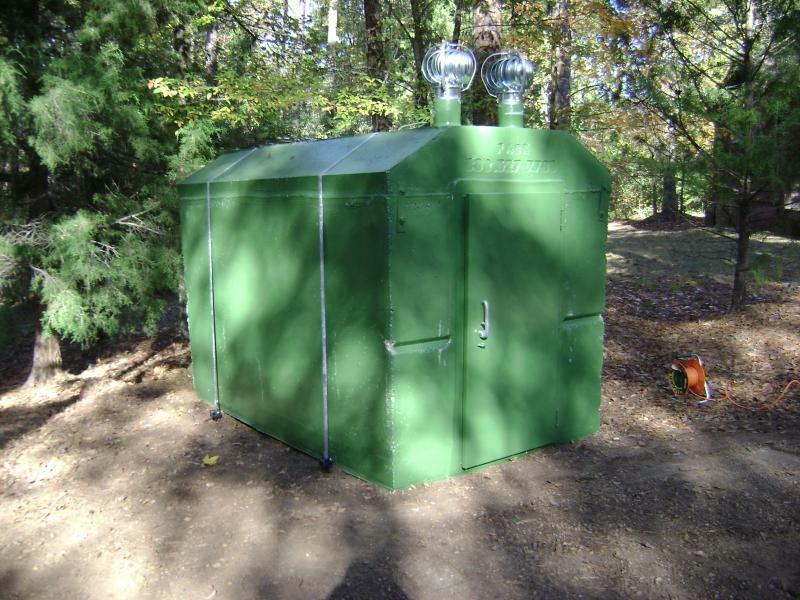 Deluxe Above Ground Shelter - Installation is optional feature not include in price. 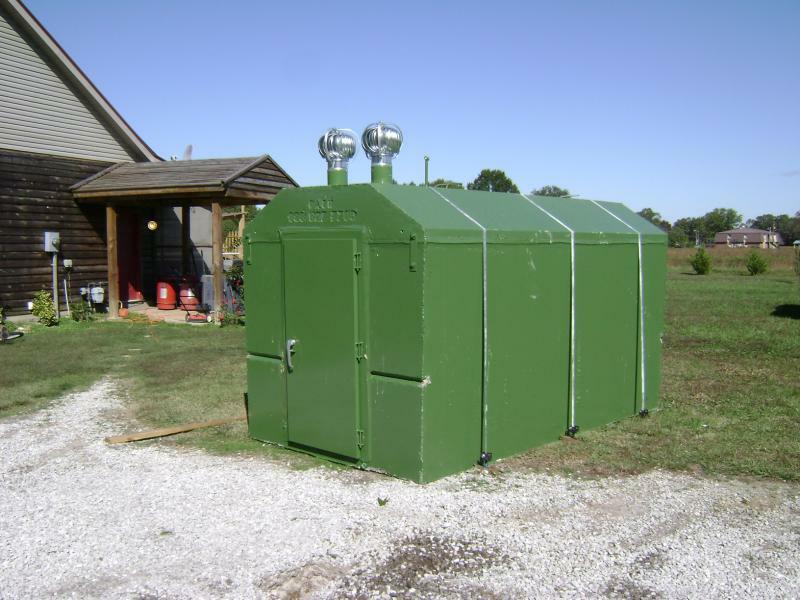 Ultimate Above Ground Shelter - Installation is optional feature not include in price. MEGA Above Ground Shelter - Installation is optional feature not include in price.